Learn how to use MSBI from beginner level to advanced techniques which is taught by experienced working professionals. 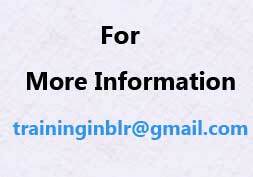 With our MSBI Training in Bangalore you’ll learn concepts in expert level with practical manner. Microsoft Business Intelligence is a BI product from Microsoft. This has three tools i.e. SSIS, SSAS and SSRS called MS-BI Stack. Which is mainly used for? Analysing the Business and for Decision Making. There is a very good demand for MSBI Professionals in the market as Many Companies are using this product because of this BI Product performs ETL through SSIS, Data Mining through SSAS and Reports through SSRS. SSIS (SQL Server Integration services) extracts data from various sources, Applies Transformations, Logics and Load into Destination i.e. Extraction, Transformation and Loading. SSAS (SQL Server Analysis Services) Loads the data from Relational OLAP to Multi-Dimensional OLAP, which fetches the data faster than RDBMS. SSRS Does the End user reporting. The other Advantage of the Product is when you buy SQL Server License, Microsoft Provides the BI Stack License Free.